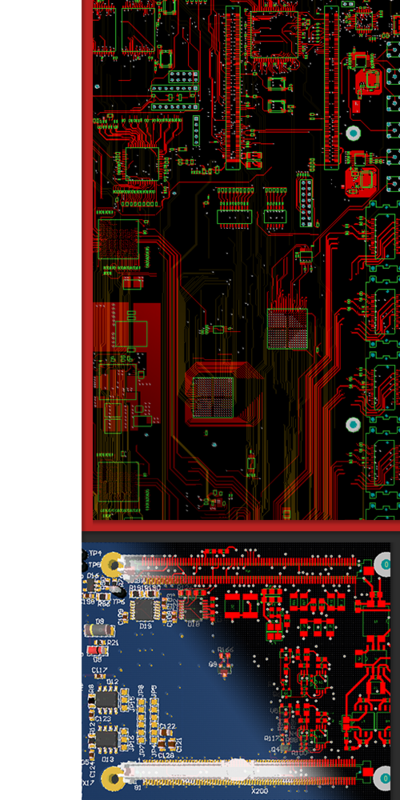 CAD Service B&H is your competent partner in the production of professional circuit board layouts. For more than 30 year we have been successfully assisting our customers in the implementation of their circuit designs. The use of state-of-the-art CAD design-tools and the long-term know-how of our employees enable first-class quality in PCB layout extraction. Additionally, CAD Service B&H offers PCB layouts in all techniques (conventional SMD and mixing technology with two-sided placement). For BGAs we also manufacture in Micovia and Buried Via technology. The documentation takes place according to customer-specific or internal standards. In our production facility in Ismaning near Munich, we also have the capabilities to convert various CAD data into the Mentor Expedition PCB format. In this way, your verified housing designs can be transferred to Mentor Expedition for further processing. We also manufacture printed circuit board designs on our customers’ premises. If needed, we will bring along our own tools and equipment. For your customized solution regarding the layout of PCBs please feel free to contact us at any time.